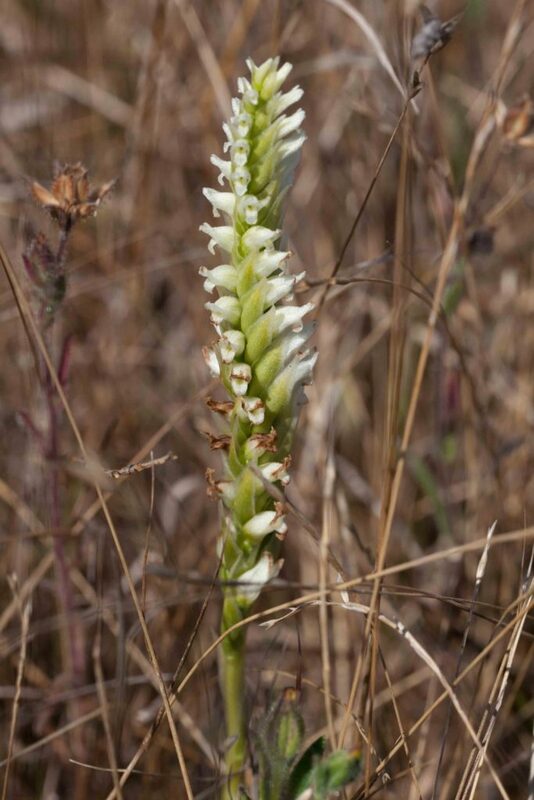 There are three groups of (mostly native) orchids found in Monterey County, those without obvious leaves (e.g. 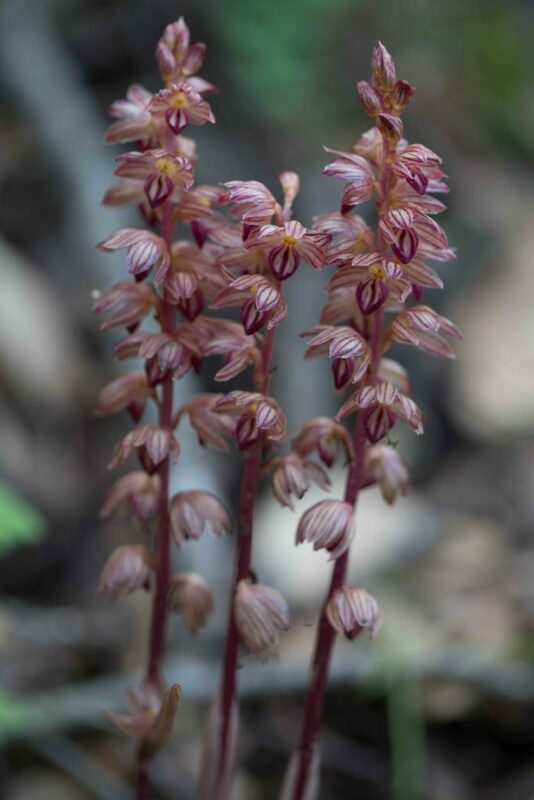 Corallorhiza (Coralroot)), those with leaves and spurs on the flowers (e.g. 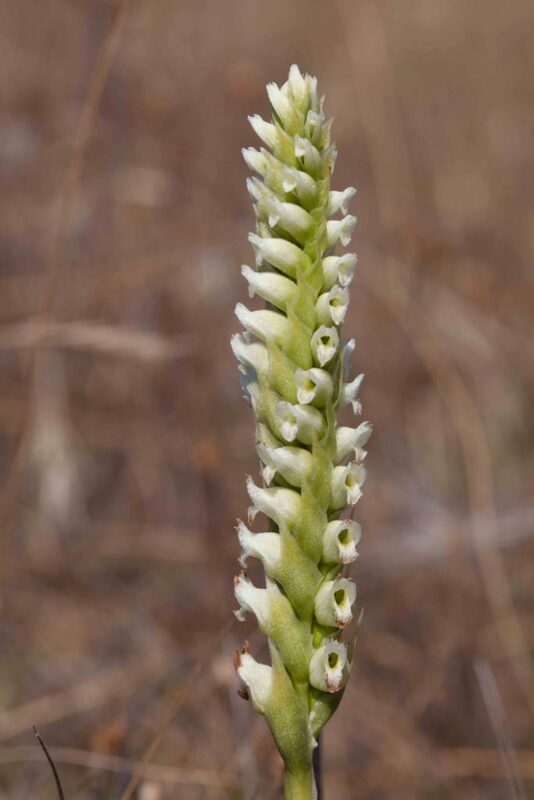 Piperia (Rein-orchid) and those with leaves but with no spurs on the flowers (e.g. 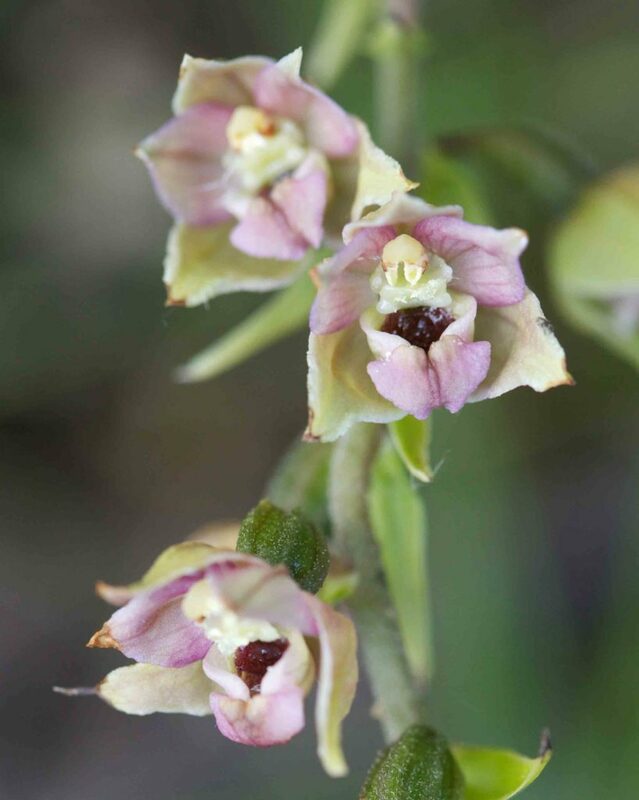 Epipactis (Helleborine / Stream Orchid)). 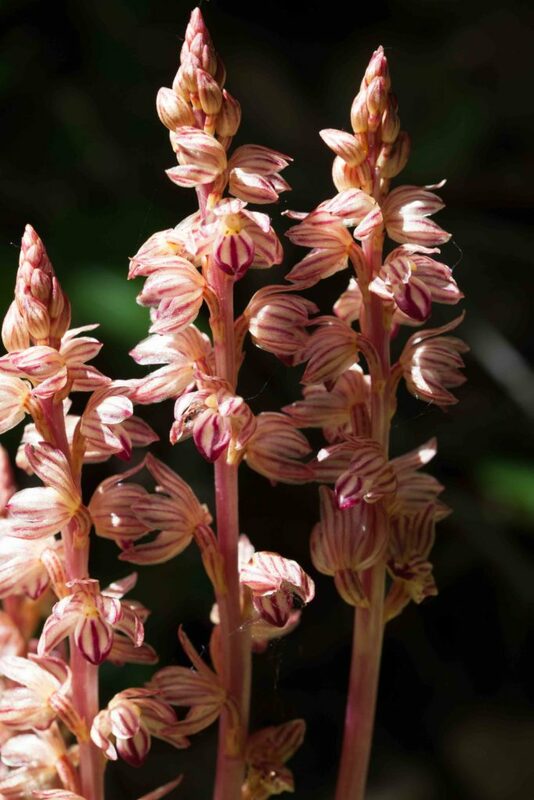 Like Striped Coralroot (Corallorhiza striata), this is more common north of Monterey County. 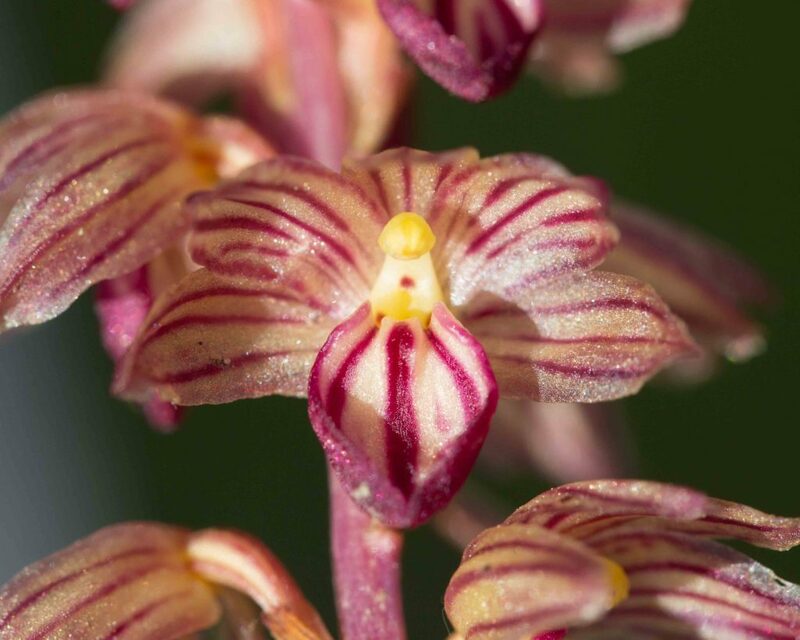 Despite its name, the lower lip of this orchid may be either spotted or pure white. 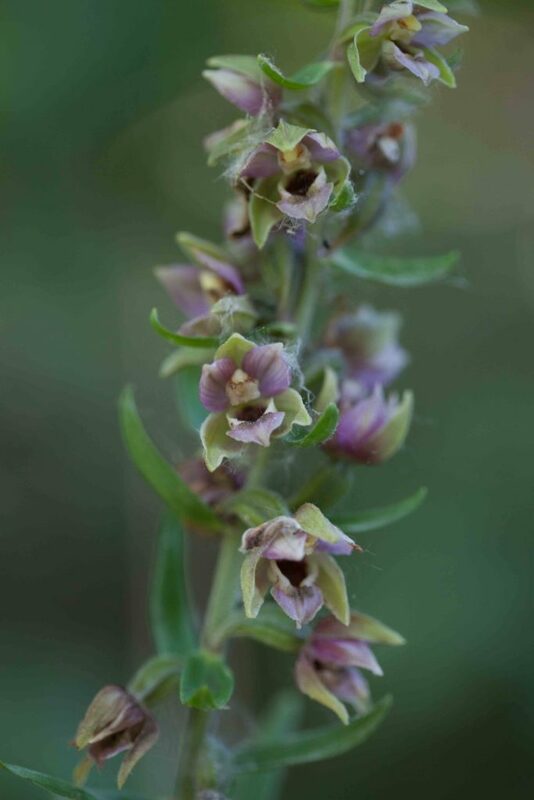 There is another variety (var. 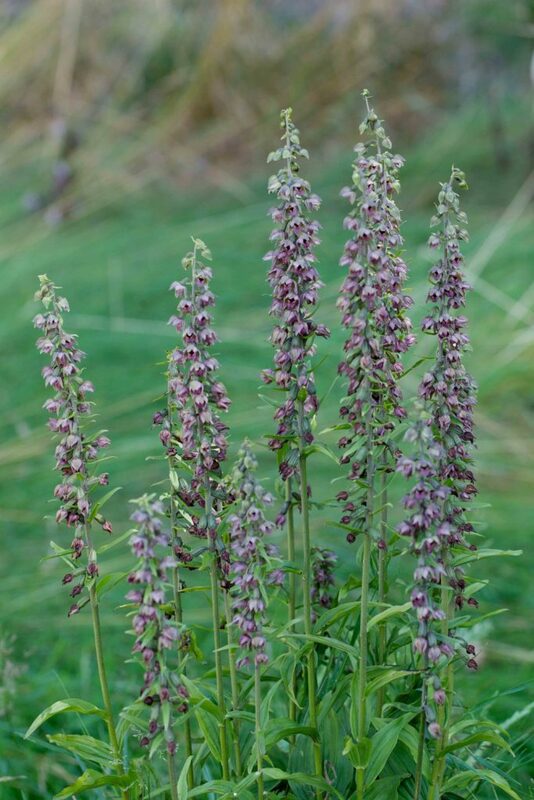 occidentalis) that is found only north of San Francisco and which has lower lips that, unlike var. 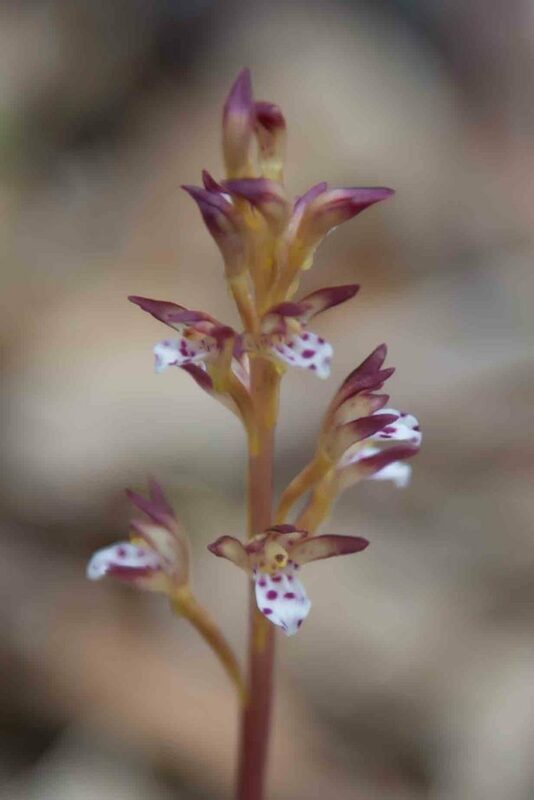 maculata, widen at the tip. 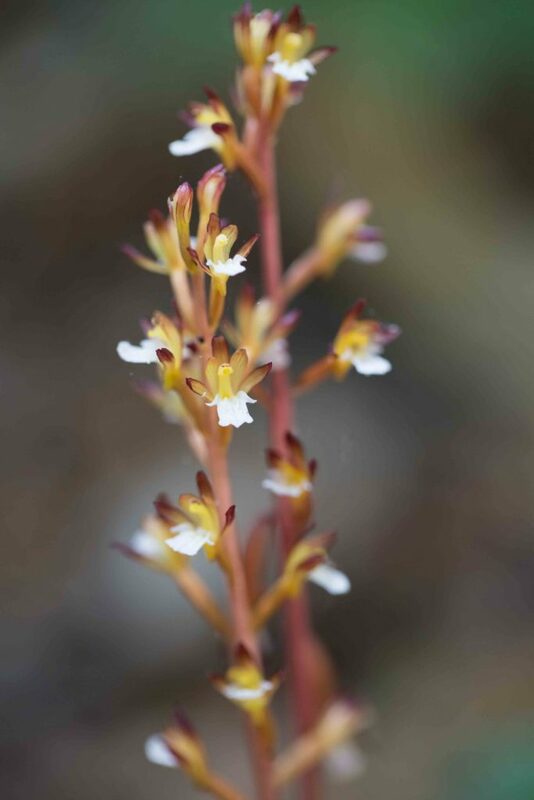 Like Spotted Coralroot (Corallorhiza striata), this is more common north of but extremely uncommon in Monterey County. 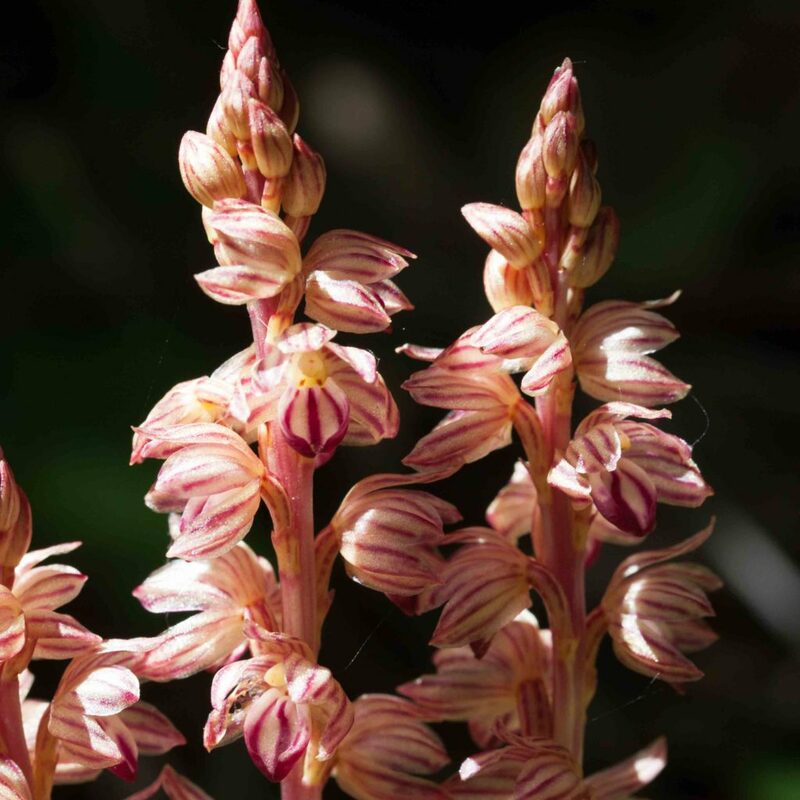 Both derive their sustenance from fungi in its coral-shaped roots with which they have developed a symbiotic relationship. 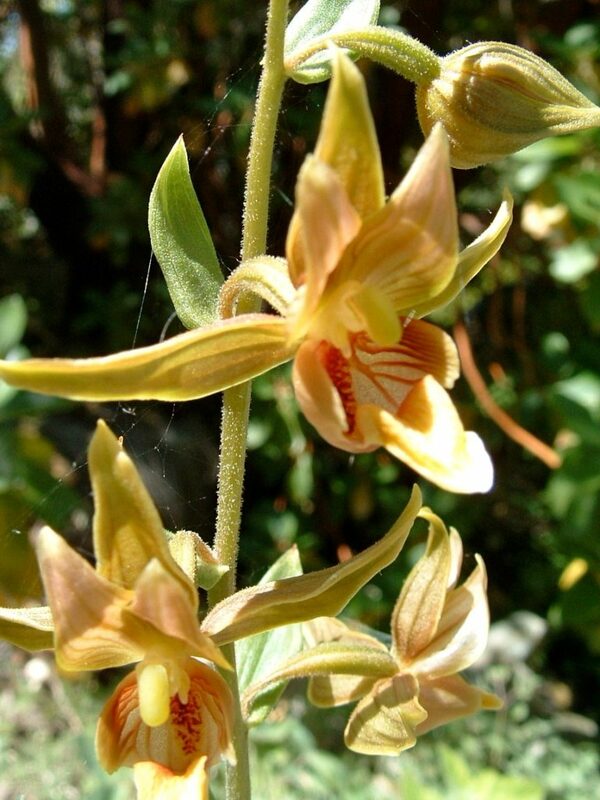 Flowers are pinkish-yellow to pale brown, with longitudinal stripes but without any lateral lobes. 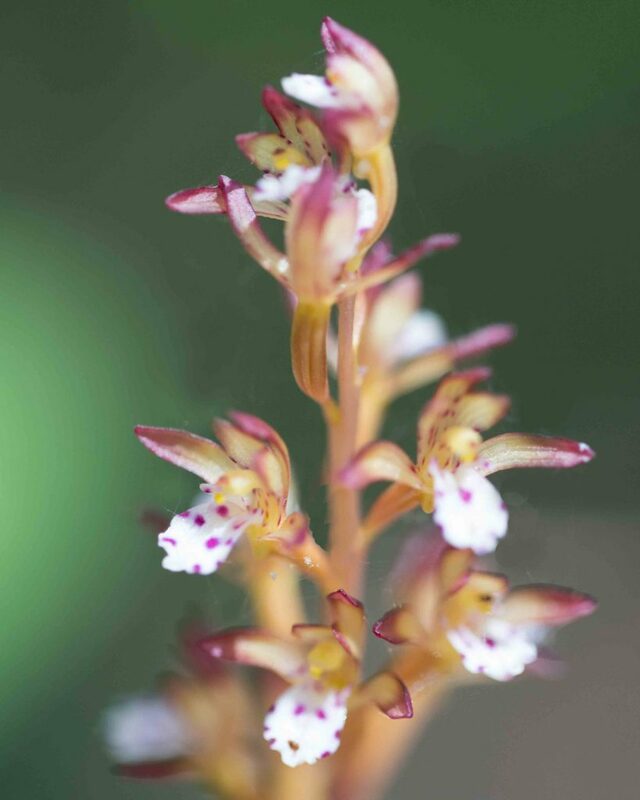 Relatively uncommon but with beautiful greenish-yellow flowers with reddish markings and longish (16–24 mm) lateral sepals. 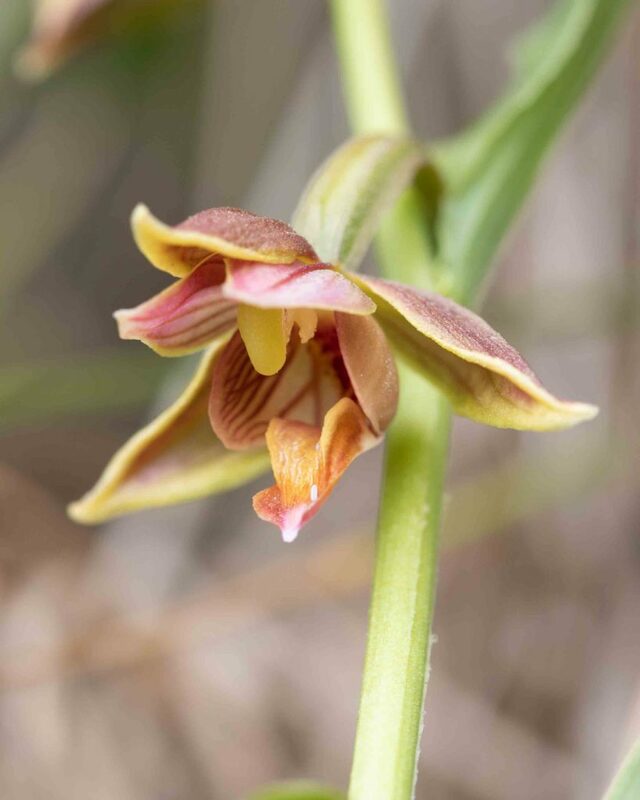 The flowers are rather more striking than those of the other (non-native) Epipactis found in the county. Left hand photograph reproduced by permission of Barbara Woyt. 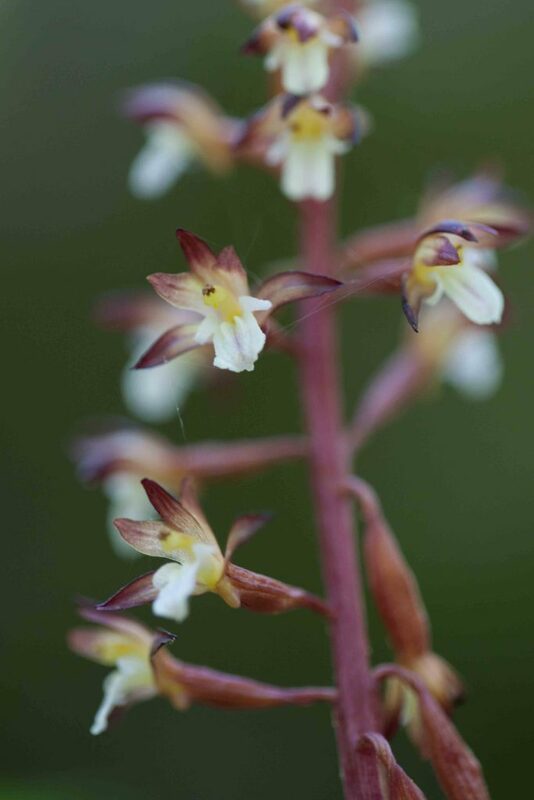 A very common, sometimes weedy orchid. 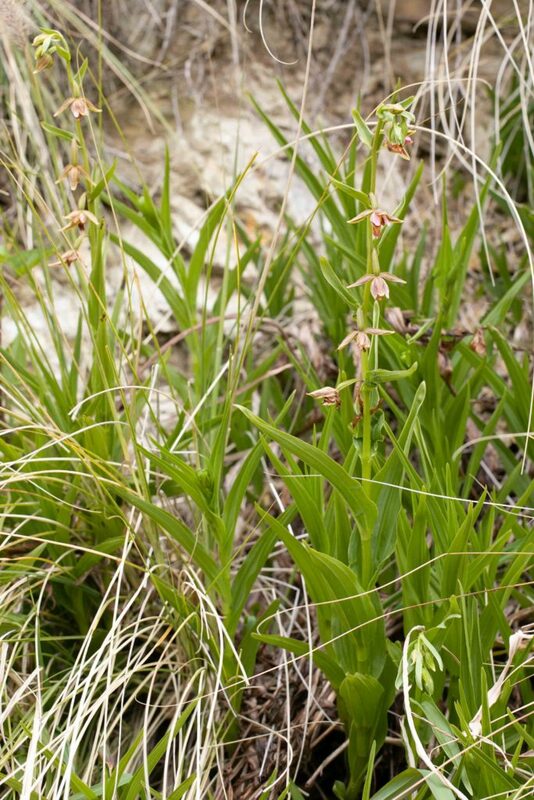 It has lanceolate to ovate leaves, typical of the orchid family. 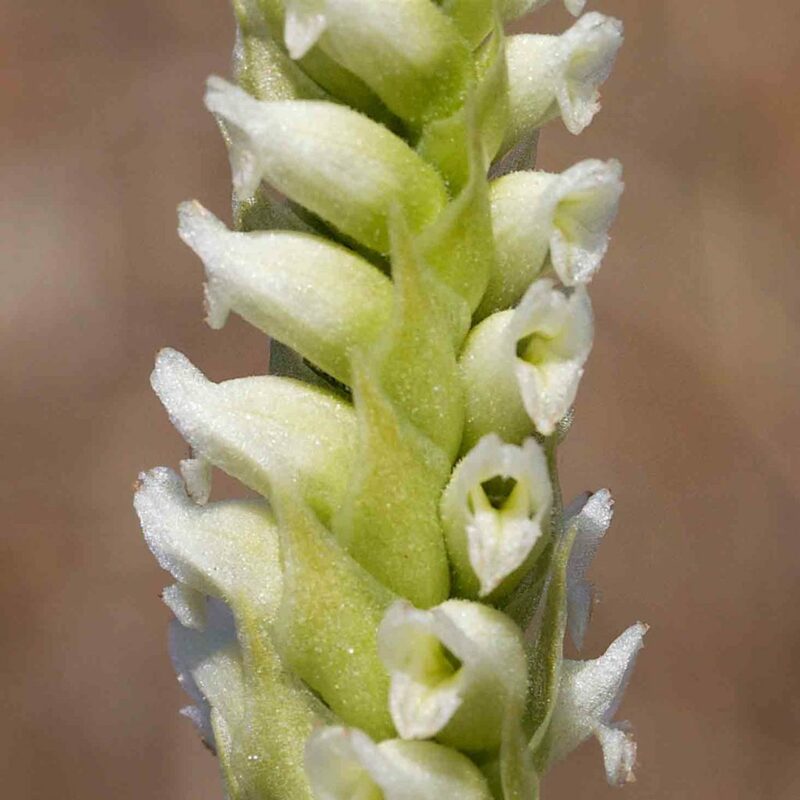 Before blooming, the plants are easily recognized by the distinctive drooping tip of its stem. 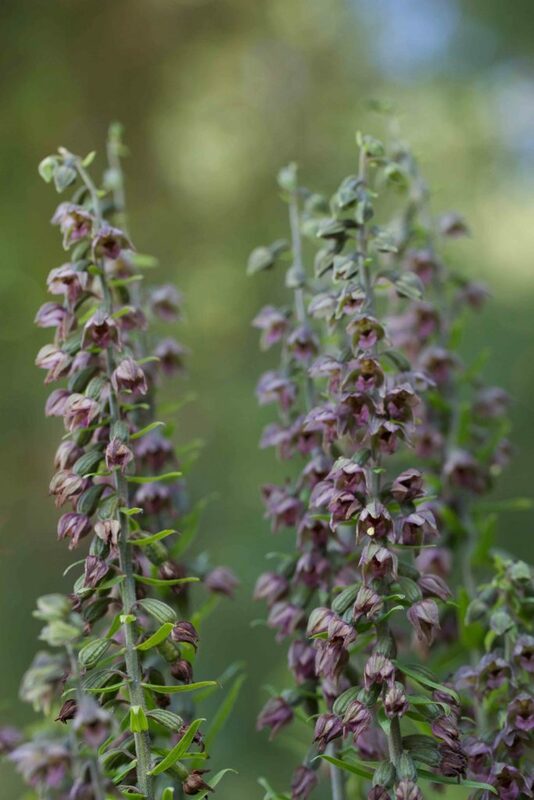 Flowers are greenish, often with a pale-purplish tinge or purple striped and a dark, almost black throat. 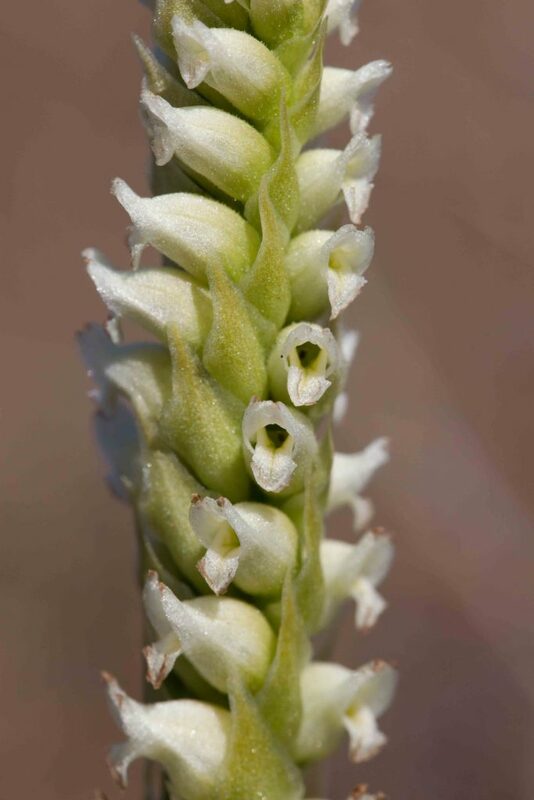 Unmistakable with its tall spike of creamy-white flowers arranged in a spiral. 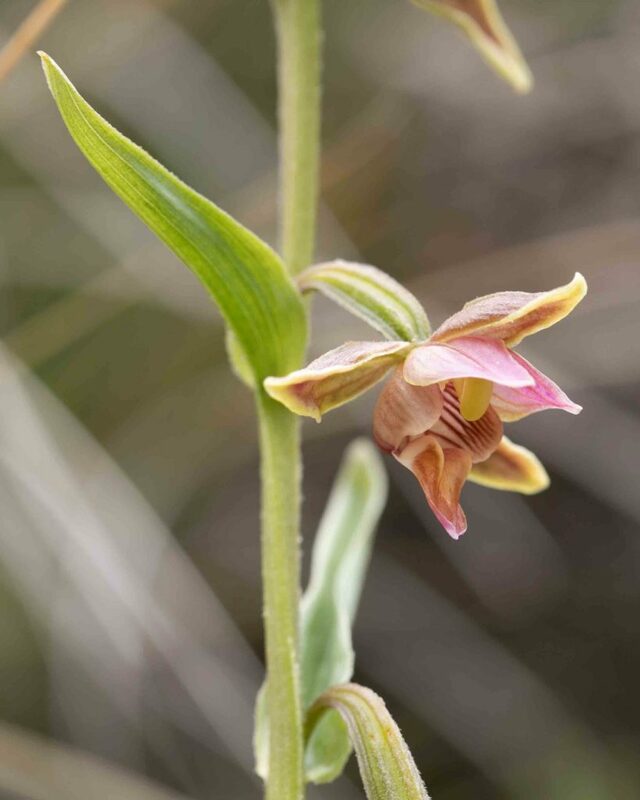 Other distinguishing features are the hood formed by the fused upper peals and sepals and the supposedly violin-shaped lower lip.